Hello everyone and welcome to our Newsletter. Last month was such a busy month. We had the Sewing Guilds Fashion Show and the Quilt Guilds Quilt Show back to back. Both were a big success. 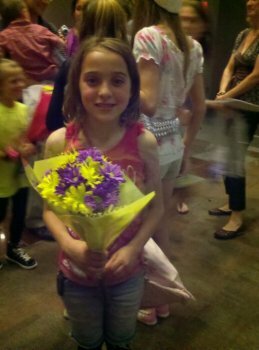 We gave away a Bernette sewing machine at both shows and helped both Guilds raise money. 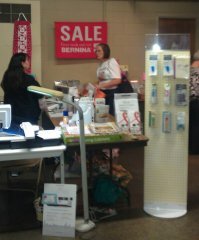 We also traveled to Indianapolis and to take the training on the new Bernina 580E. This is an amazing machine and you have to come in for a demo on it. We like to call it the mini 830 because it has a lot of the features that come on the 830. Last months Bernina Club was on recycling your old clothes. 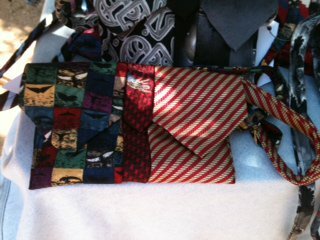 We has some great samples in the store including a tie purse that we brought back from Texas. Look for this purse along with a couple of the other samples to become classes. We have received from Dakota Collectibles a collection of three Holiday CD’s that are priced at an amazing $45.00. We had these for about 2 days and sold them all so we have reordered them and hope to have them in the shop soon. You get all three design CD’s for just $45.00. This is a great price for 3 great discs. Come in and check them out. Later this month is our last Girl’s Night Out. Our project will be pillowcases and fleece blankets to donate to Riley’s Children Hospital here in Evansville. We will be donating all items in the memory of Victoria Allen, granddaughter of Brenda Allen, who passed away last month after an illness. We still need more fabric donated for this. Even if you can’t come to our Girl’s Night Out on October 21st at 5:00pm you can still help by donating fabric. For the fleece blankets we need 1 ¼ yd of fabric and the pillowcases we need 2/3 yard and 1/3 yard pieces. Every child that comes into the Riley’s Hospital in Evansville goes home with one of our pillowcases or blankets. Help us keep them supplied though the Holiday Season. 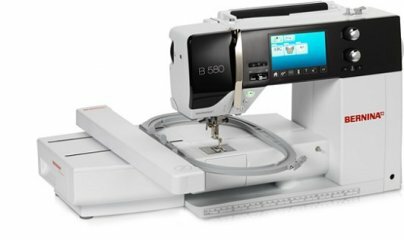 Those of you that have and 830e, if you have downloaded the update that was on the Bernina Website and have not yet installed it please do NOT install the update. There have been problems with the update not saving your personal settings so please do not install this update. It has been removed from the Bernina Website and when they have it corrected they will replace it. Those of you that bought Design Connection and still have CD’s that have not been burned. Please choose design packs by December 31,2011. After that date we will no longer be able to burn Embroidery Take-Out (ETO). The ETO program will be coming to and end on that date. If you do not have your designs burned by that time there is NO returns or refunds for any CD’s you may have. This gives you over 2 months to make up your minds and have your disc’s burned. Please note that OESD has told us that we can not return unused CD’s and our computers with ETO will not function after December 31,2011.